On Saturday 30 September, the REELS team was in Coldstream to take part in two events for the Scottish Borders Heritage Festival. We were based in the Leet Room of Coldstream Community Centre, the former St Cuthbert’s Church. 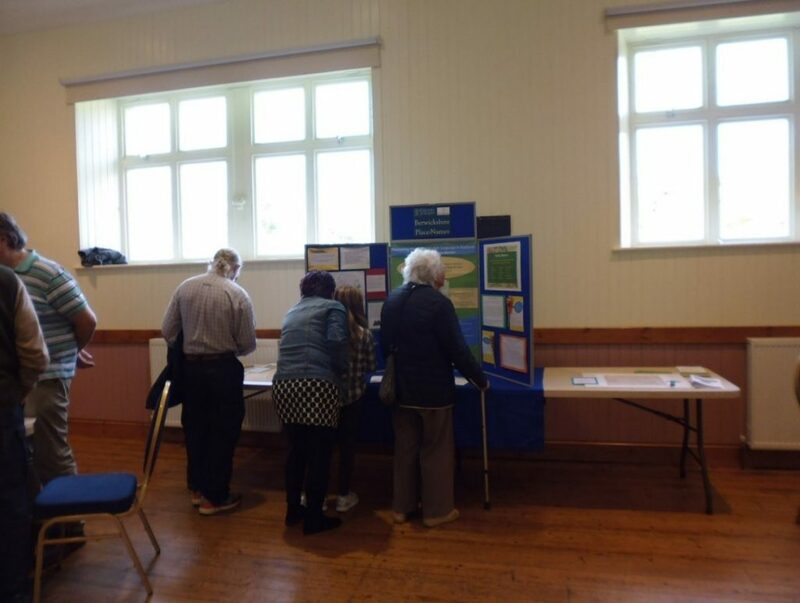 In the afternoon we hosted a drop-in event at which visitors could view our exhibition and share their knowledge of local place-names. A steady stream of people came through the doors, from even before our official opening time of 2pm. Some of them stayed for the full three hours! We were delighted to hear so many pronunciations of local place-names in our study area, and to gain information about names which don’t appear on modern maps. We will be able to use much of what we learned on the day in our research, and will include phonemic versions of the pronunciations in our place-name volume and database. In the evening Simon Taylor presented a paper on ‘Place-Names and their Place in the History of Berwickshire’. Many of our afternoon Berwickshire visitors came back to hear this, joined by others from south of the present-day border. 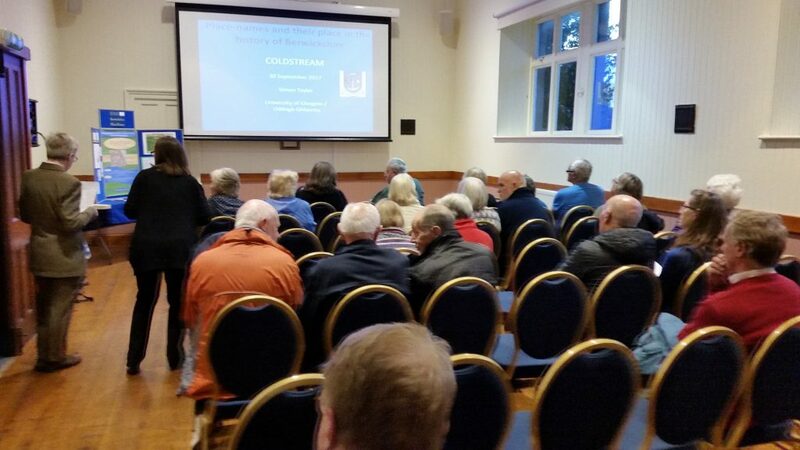 We are extremely grateful to John Elliot, Joan Turnbull, Eleanor Moffat and Martha Andrews, members of the sub-committee of the Coldstream and District Local History Society, which had been set up especially to help us. They did a wonderful job of advertising the events, and encouraging interested and knowledgeable local people to come along. Thank you also to Linda Trickett, former co-ordinator, and Adrian Price, caretaker, of Coldstream Community Centre, for all their help and for making us feel so welcome. The REELS team is looking forward to participating in two events at this year’s Scottish Borders Heritage Festival, which takes place over the month of September in venues throughout the Scottish Borders. 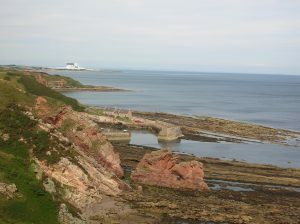 What’s your Place in Berwickshire? One of the historical sources we have been using in the REELS project is the first series of Ordnance Survey Name Books (or Original Object Name Books) for Berwickshire. These record information about the place-names that appear on the Ordnance Survey 1st edition 6 inch and 25 inch map sheets for the county, which were published between 1854 and 1862. The 41 name books for Berwickshire date to 1853–8 and contain the notes of the surveyors who travelled throughout the county, asking local inhabitants about the orthography, usage and, at times, meanings of place-names. The people they consulted were often prominent members of the community, such as landowners, ministers and teachers, but tenants and fishermen also appear among the informants. The surveyors’ notes were supplemented with details from printed sources including existing county maps, like that of Andrew and Mostyn Armstrong from 1771, and the Old and New Statistical Accounts of Scotland. Among the useful toponymic information provided in the name books is that of names which were changed within living memory. Examples of this include: Meadow House in Hutton parish which at the time of survey was said to have been renamed Broadmeadows House by its owner James Macbraire; in Eccles parish the small village Ploughlands had been renamed Thirlington by Mr Nisbet of Lambden, the landowner – this had happened by 1826 as the name appears as Thirlington on the Sharp, Greenwood and Fowler map of that date; and also in Eccles parish, the cottage Stonefoldbrae had formerly been called Lambden Brae ‘until it came into the hands of the present proprietor’, Mr Dickson of Belchester (1). 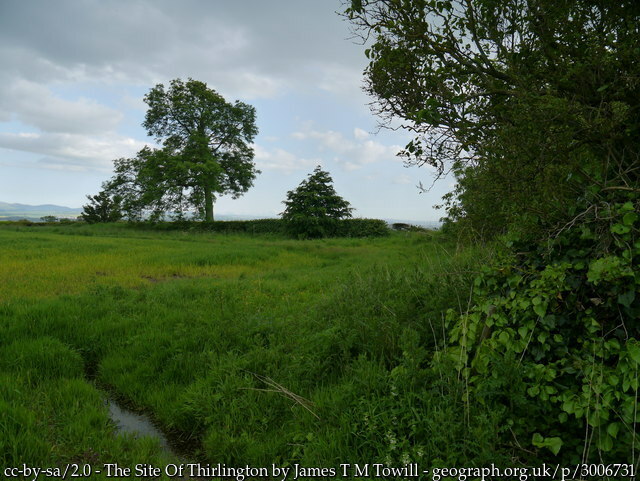 James T. M. Towill’s photo shows the site of Thirlington (formerly Ploughlands) as seen by him in 2012. As Towill discovered, the village can be traced through historic mapping until 1957. Photo: © James T. M. Towill and licensed for reuse under this Creative Commons Licence. As well as informing us about names which were no longer in use, the name books also tell us about former names that were still being used, albeit no longer officially. 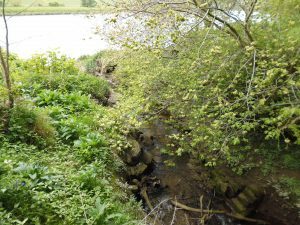 A good example of this concerns the farmhouse Abbey Park in Coldingham parish, which the surveyor was told ‘is commonly called “Bee Park”’(2). The name Bee Park appears on the Armstrong map and slightly earlier on the mid-eighteenth-century map of William Roy. (1) OS1/5/25/19 (Broadmeadows House); OS1/5/17/24 (Thirlington; the name book describes the village as having only two or three cottages plus a carpenter’s shop); OS1/5/17/45 (Stonefoldbrae). For more on the Berwickshire name books, see the following article (including a bibliography): Eila Williamson, ‘ “hence the name”: Berwickshire parishes along the Anglo-Scottish Border as described in the Ordnance Survey Name Books’, Journal of Scottish Name Studies 9 (2015), 83–96. In recent years the Ordnance Survey Name Books have been digitised. Images of the original pages along with crowd-sourced transcriptions are now freely available online via the ScotlandsPlaces website.